Some people may argue that social media marketing is unimportant – they are wrong. Using social media to interact with people presents itself to a wider audience. Just because you already have a well-designed website does not mean you ought not to put emphasis on your social media profiles. You can easily find new clients, quickly respond to any current customer concerns, and interact with your target audience with ease. Another plus for social media marketing is that you get to attain maximum audience by targeting an audience according to region, language, behavior, language, gender, and many other scales. Social media marketing eliminates problems that other advertising strategies such as billboards possess — hope that the right person will get to view them. 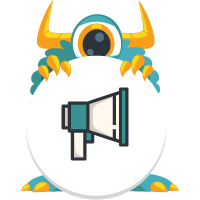 Monster Media’s social media marketing efforts try to better position your business and tap into the two-way conversation that occurs between you and your clients. Using our social media audit and analyses, we can tell you where people are talking about your business, the most lucrative places to join in, and ways you can create brand awareness. We employ our social media experience to generate leads through Facebook advertising, Instagram, Twitter, Pinterest, LinkedIn, and social media remarketing. You ought not to walk in the dark in this kind of advertising.